Profile - Cherie Gopie - M. Hamel-Smith & Co. Prior to joining Hamel-Smith’s Dispute and Risk Department in August 2011, Cherie spent four years as a Judicial Research Counsel, where she worked alongside High Court Judges conducting necessary research and preparing opinions and judgments, with exposure to a wide variety of complex civil and criminal cases. She began her career at a small law firm where she gained experience in company law, civil litigation and arbitration. 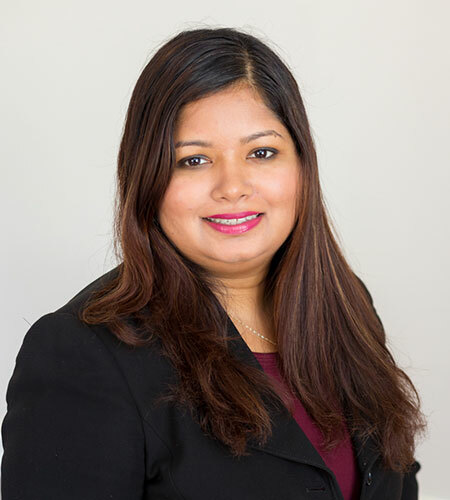 At M. Hamel-Smith & Co., Cherie has appeared in and works closely instructing Counsel in the High Court, the Court of Appeal, the Tax Appeal Board and the Environmental Commission of Trinidad and Tobago. Cherie focuses on all areas of dispute resolution and advises the firm’s clients on, among other areas, Admiralty Law, General Commercial Litigation, Medical Negligence Law, Personal Injury, Debt Collection, Insurance and Re-Insurance.